This Billet Oil Coolers comes with two #6 AN style fittings. CNC Machined from Billet Aluminum then hit with a durable Black Anodized finish. Originally designed for Harley-Davidson EVO motors, but can be adapted to TC-88 motors too. Oil lines not included. 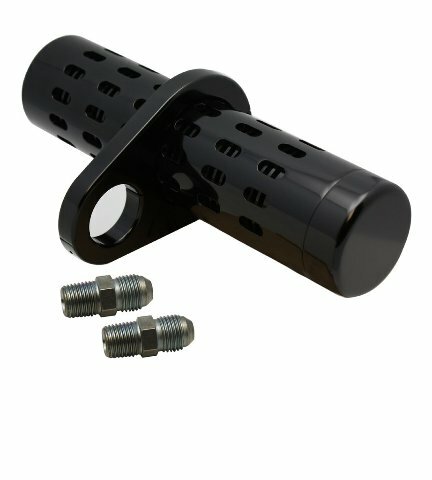 Fits 1-1/2 Inch Frame Tube. Length is 8-3/4". Diameter is 2-1/4". 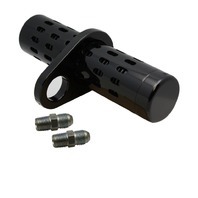 CNC Machined from Billet Aluminum with Durable Black Anodized Finish. Fits Harley-Davidson EVO motors. Can be adapted to TC88 Motors. Includes 2 #6 AN Fittings. Length is 8-3/4". Diameter is 2-1/4". Size: Length is 8-3/4". Diameter is 2-1/4".